The purpose of the module is to provide students with the basics of Limology (concept, functions) and the changing concept of the border during the globalization era that is perceived not only as a geographical and political concept, but also as social, psychological and cultural one. 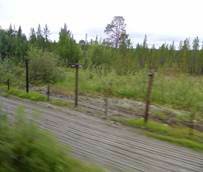 The module describes the perception of Norwegian-Russian border by the Russian living in the territory of the Murmansk Region. 2. Describe the ideas of a border changing during the globalization era. Viken A., Granås B., Nuseth T. (2008) Kirkenes: An Industrial Site Reinvented as a Border Town // Acta Borealia. Vol. 25. 1. Pp. 24-44. Passi A. 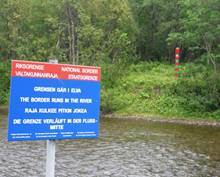 (1999) Boundaries as Social Practice and Discourse: The Finnish-Russian Border // Regional Studies. Vol. 33 7. Pp. 669-680. Limology is a discipline studying borders. Today the concept of the border is not only a geographical and political concept, but also a social and psychological one. Development of this concept is connected with the emergence of the state. Border, borderland, boundary is the key English terms for the concept of the border. Meanwhile the meaning of each of the words varies. The word frontier is used quite often as well. Frontier is a zone of development; a territory with social and economic conditions defined by the process of development. Frontier as a research category isn't identical to the state border or an imagined boundary. Frontier is a zone of intercultural (intercivilizational) interaction out of established state borders. Such terms as periphery, border-zone, border region, border policy, as well as the English terms as edge, boundary, border, borderlands, and margin are closely connected to the concept of border (see Glossary). All the approaches known explained the phenomenon of borders by political factors, handling them as a reflection of military, economic and other powers of neighboring states. State and internal borders have almost never been considered as a unified system with cultural borders. The Finnish geographer A. Passi in the works devoted to the border between Russia (USSR) and Finland, started with the hypothesis that the value of a border for life of people can't be understood without the analysis of its role in the public consciousness, in self-identification of a person with the territories of different levels (country, region, district) and in nationalism development as one of the main forms of territorial ideology and the basis for the state construction. Passi showed how public ideas of indigenous people and its culture, safety of a state and external threats, historical myths and stereotypes influenced the attitude of people and the political elite to a certain border. In his research he managed to combine existing approaches taken from the geographical limology (Kolosov 312-313).